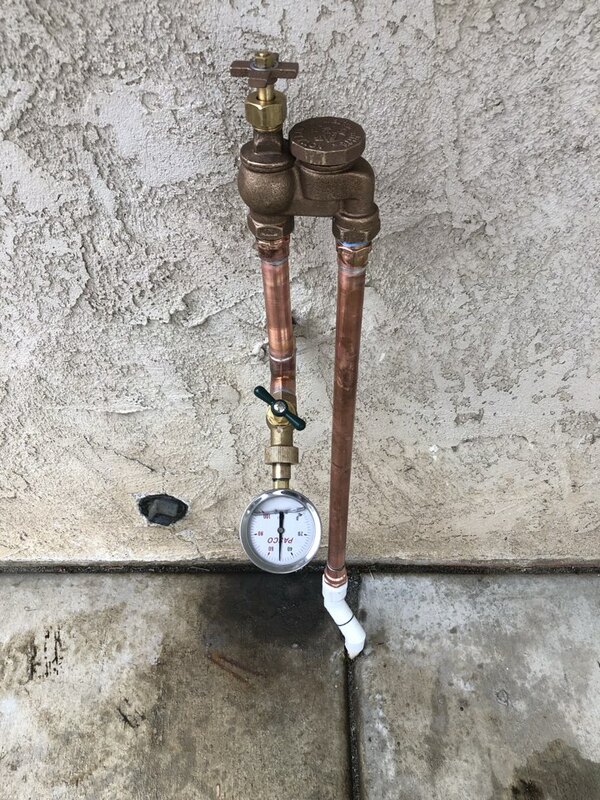 Residents of Redlands, CA are loyal to Pride Plumbing Services because of our team of skilled, licensed plumbers and our customer-first mentality. Take a look at our Redlands, CA reviews and see why residents call us when they need a trusted plumber. We had a shower water pressure issue at the house and called Pride to help resolve. Zion was the plumber that was dispatched to the house. He was very professional and polite and went right to work. He identified the problem and within 30 minutes fixed the issue. We are very please with the service and Zion is a great representative for Pride Plumbing. Ryan was very knowledgeable and quickly assessed the problem. I will call you for future plumbing needs. Glad to have job completed on same day as called for service! My technician Matt was fast and had my shower handle fixed up in less than 5 min. My main water line sprung a leak at the meter, and I was desperate. Pride responded right away, and fixed the problem. I am very with their service. Outstanding Service - Plumbers I Can Trust! After getting a high quote from fast-talking plumbers from another big plumbing company, I decided to get a second-opinion from Pride - and a good thing I did! They are honest, knowledgeable, fast, and way less expensive than the competitor. Their number one priority is to make sure you're well taken care of and happy. They will get all of my plumbing jobs from now on! Love the new drain cleaning machine and will call Pride Plumbing again and ask for Bryan and Steven. Great job, Thanks for all your hard work. They also showed up when promised. Ryan is a great professional with profound expertise. He identified the problem and fixed it quickly. Reasonable rates, honest and reliable communication. Highly recommend it! Everyone I spoke with at Pride Plumbing was professional and friendly. Brian took the time to explain the work needed to be done, and also provided several options for solving our plumbing problem. Will use again for future plumbing repairs! They showed up in the early part of the two hour window that was given to us. Both were very nice, eventhough we couldn’t find the leak they gave us great information and suggestions for us to do. Ryan and Stephen came in and saw the work that had been done by someone else and was able to correct it and fix it the right way to my pleasing. I called for some plumbing work. Same day service. Will call them back soon for my water heater. Matt was my plumber and he was very meticulous and paid close attention to my concerns. I am very happy I used Pride Plumbing and will use them again. Great response time (came out within 24 hours) courteous, professional. Moen kitchen faucet install. Redlands. Water service leaking. Main water line from meter to home leaking in back yard. Dig dirt to access 1" PVC water line. Cut out section of water line and repair. Repair 1" PVC water line. 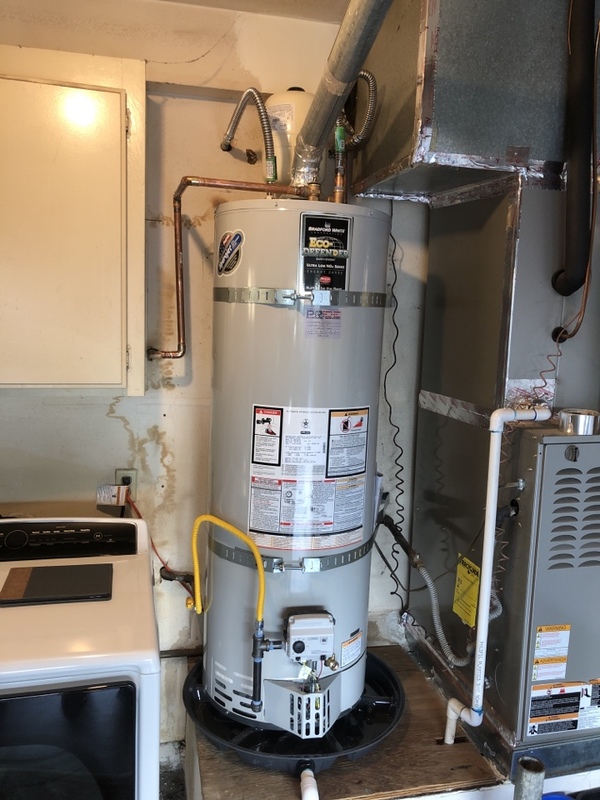 Pride plumbing called out for leaking water heater. Installing new 50 gallon Bradford and white heater. Kitchen sink clogged in residential home. Perform drain cleaning with Spartan drain cable machine from exterior drain cleanout. Install new Wilkens pressure regulator on house water riser. Repair Delta shower valve. Delta shower valve leaking into bath tub. Remove existing Delta shower cartridge and replace with new Delta shower cartridge. Floor sink backed up. Run Spartan 100 drain cable down floor sink in kitchen area. Remove grease in kitchen sewer line. Install new emergency shut off valve and water line for kitchen sink and dishwasher. Estimate for new Insinkerator badger 5 garbage disposal. New angle stop and supply line. Install customer provided toilets. Remove existing Mansfield toilets in master and guest residential bathrooms. Install new wax rings. Install new water supply line to toilet. Install new Kholer toilet and assembley. Install new washer machine drain line and water lines. Reroute water line and drain line for future washing machine and utility sink. Run new gas line for clothes dryer. Repair existing Mixit shower valve. Mixit shower valve leaking. Install new Moen shower valve. Remove existing Mixit shower valve. Installation of new Moen tub shower valve. Solder new Moen valve in. Install new Moen shower chrome trim.